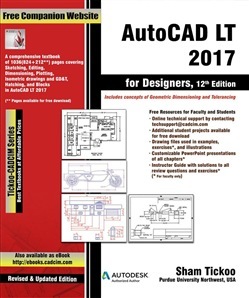 AutoCAD LT 2017 for Designers, 12th Edition textbook contains a detailed explanation of AutoCAD LT commands and their applications to solve drafting and design problems. In this textbook, every AutoCAD LT command is thoroughly explained with the help of examples and illustrations. This makes it easy for the users to understand the functions of the tools and their applications in the drawing. After reading this textbook, the user will be able to use AutoCAD LT commands to make a drawing, dimension a drawing, insert symbols as well as create text, blocks and dynamic blocks. The book also covers basic drafting and design concepts that provide you with the essential drafting skills to solve the drawing problems in AutoCAD LT. These include dimensioning principles, and assembly drawings. While going through this textbook, you will discover some new unique applications of AutoCAD LT that will have a significant effect on your drawings. 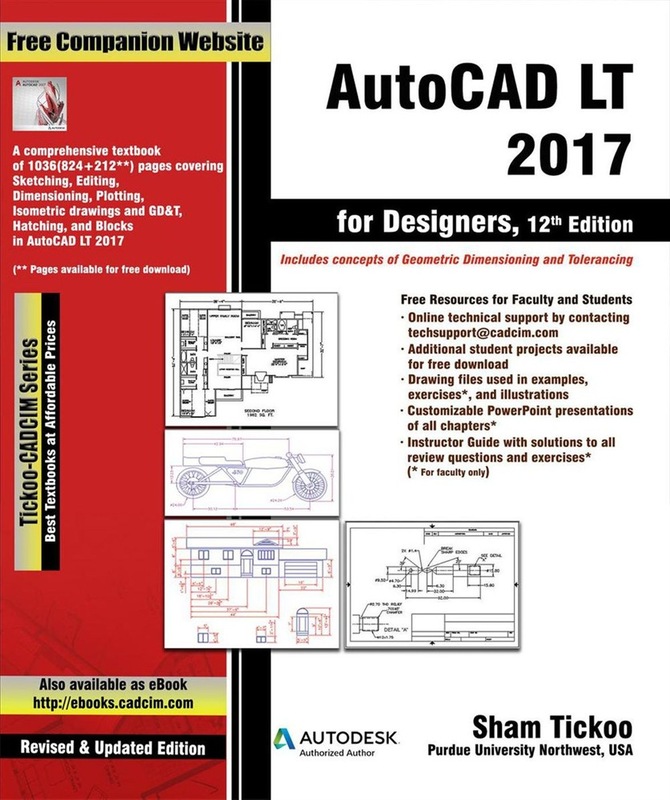 Acquista AutoCAD LT 2017 for Designers, 12th Edition in Epub: dopo aver letto l’ebook AutoCAD LT 2017 for Designers, 12th Edition di Sham Tickoo ti invitiamo a lasciarci una Recensione qui sotto: sarà utile agli utenti che non abbiano ancora letto questo libro e che vogliano avere delle opinioni altrui. L’opinione su di un libro è molto soggettiva e per questo leggere eventuali recensioni negative non ci dovrà frenare dall’acquisto, anzi dovrà spingerci ad acquistare il libro in fretta per poter dire la nostra ed eventualmente smentire quanto commentato da altri, contribuendo ad arricchire più possibile i commenti e dare sempre più spunti di confronto al pubblico online.